FFM Podcast Episode 018 - The Topic of Tithing Guest: Randy Hiatt, Ed.D. Host: Kevin Barron This week, Dr. Randy Hiatt and Kevin Barron discuss tithing. Often a topic of debate, including whether a tithe is 10% of gross income or net income, it nonetheless is an important aspect of our Christian faith. For those of us who have struggled with this expectation placed on us by our Heavenly Father, these insights may prove valueable. _________________________ About FAITHforMore.com FaithForMORE.com was founded to provide resources and answers to you to EMPOWER YOU TO A MORE DYNAMIC RELATIONSHIP WITH JESUS. There is more to your walk with God than you are experiencing today. He created you for purposes that you are not yet fulfilling. You feel it in your spirit. But you are not quite sure where to find that richness that you know is hidden and glowing, waiting for you to uncover it. You CAN find more. And how sweet it is to step up out of defeat and into victory. Instead of living your spiritual life from a defensive position, you can stand tall, go on the offense and move forward. 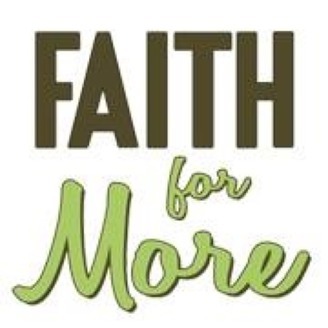 Faith For More will provide resources to equip you for those next steps in your walk. Moving forward will take you out of your comfortable place. When you throw everything that you’ve ever thought about God and religion up into the air for Him to sift, asking Him to reveal truth to you apart from any preconceived beliefs or ideas, he will totally and completely rock your world with paradigm shifts. And where you land is closer to His heart, higher up in Spirit, and on the path to your God-created destiny. We are distinctive in that we subscribe: A. To the five-fold model of the church, “And He gave some as apostles, and some as prophets, and some as evangelists, and some as pastors and teachers” (Ephesians 4:11, NASB); B. To the profound understanding that we are “seed of Abraham” and therein are closely connected into the Nation of Israel; C. To the understanding that scripture was written in the Judaic mindset. We seek to understand God’s word the way it was written and not from the Greek mindset, as our culture has taught us. We see this aiding our revelation of God’s plans and the partaking of His glory; D. To the expectation of God’s presence through the Holy Spirit. As our comforter and counselor, we also draw near to the Spirit as we expect His presence when we worship wherein He changes us and others that we might live, work, and perform the abundant life individually and corporately. As we fellowship with our relationship to the Father, Son, and Spirit, and with one another, we are lead to the transformation in our lives effecting positively those we touch, such as you. Please add your comments below or in iTunes. 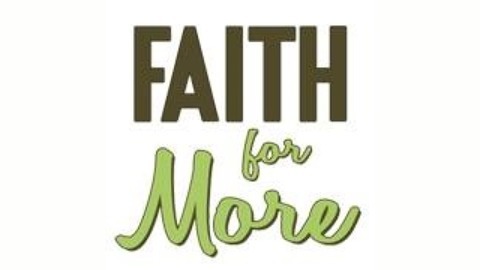 You can also email questions to FAITHforMoreToday@gmail.com or post them on Facebook and Twitter. Thank you for listening. God bless. FFM 017 - Why Can it Be So Difficult to Forgive?